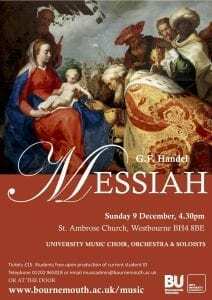 University Music’s annual performance of Handel’s Messiah takes place in St. Ambrose Church, Westbourne on Sunday 9th December at 4.30pm. The University Music Choir and orchestra is made up of staff, alumni and students from both Arts University Bournemouth and Bournemouth University. The soloists from this performance will be by university music scholars. 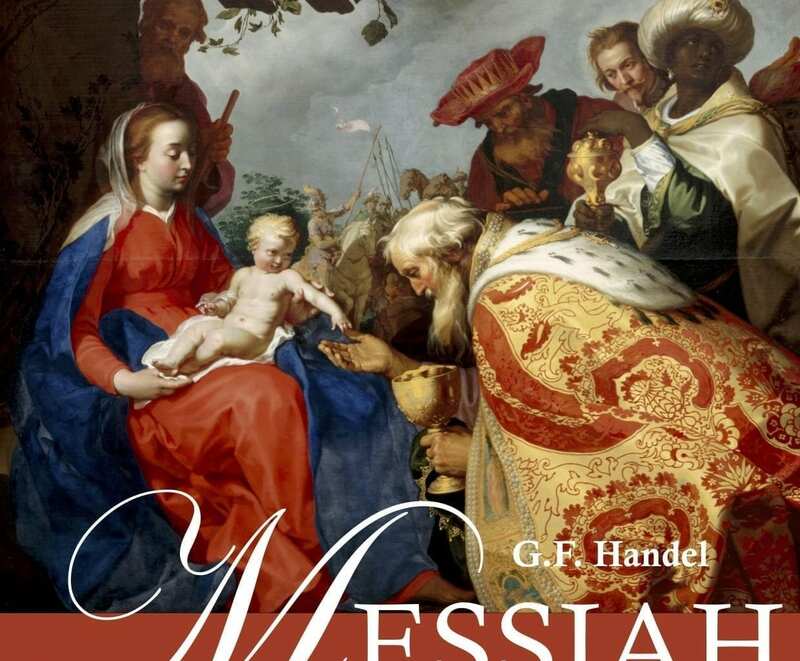 Messiah is an oratorio composed in 1741 by George Frideric Handel, with a scriptural text compiled by Charles Jennens from the King James Bible, and from the version of the Psalms included with the Book of Common Prayer. Tickets cost £15. Students are free upon production of current student ID. Tickets are also available to purchase at the door.